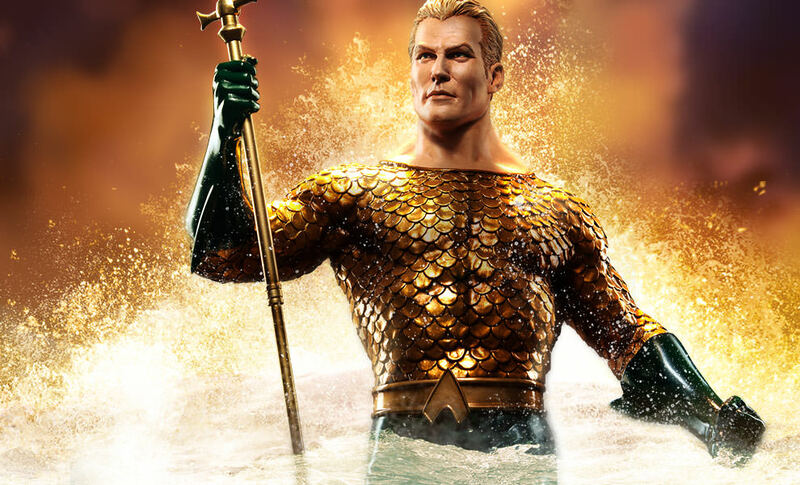 Heir to the throne of Atlantis, and King of the Seven Seas – all hail Aquaman! 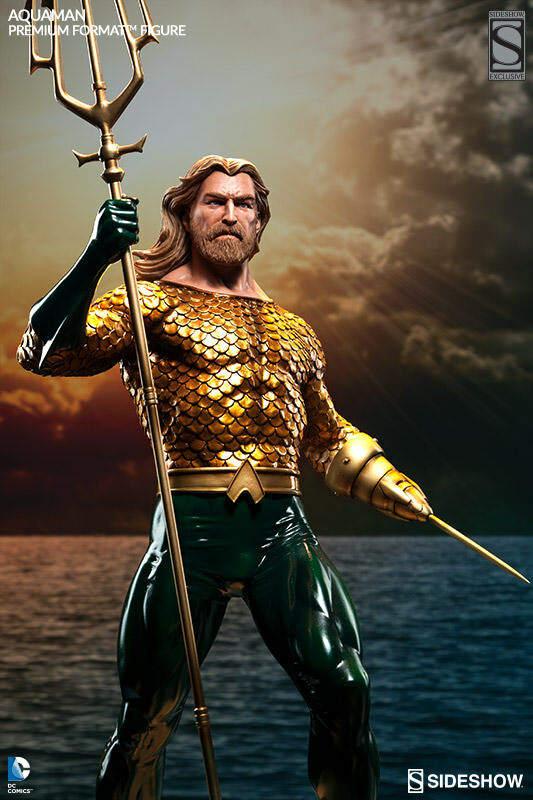 Gifted with extraordinary aquatic abilities, Arthur Curry rises from the depths wielding his mighty trident, a powerful enchanted weapon and symbol of sovereign authority. 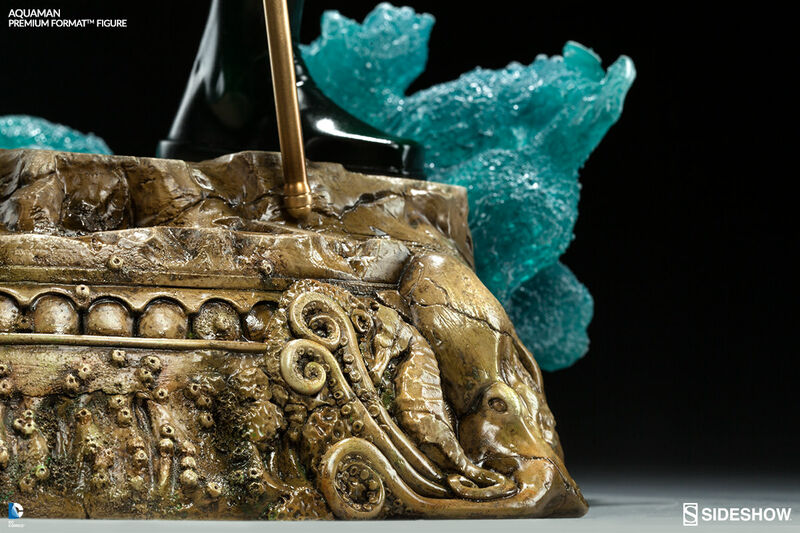 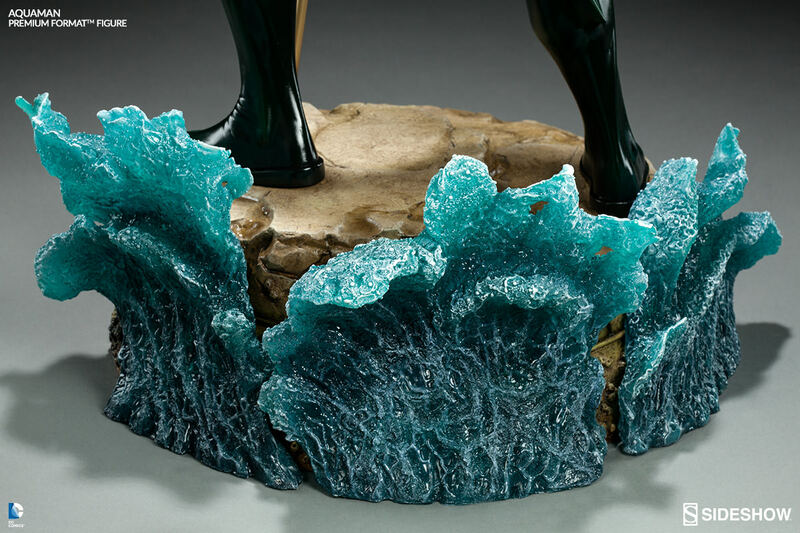 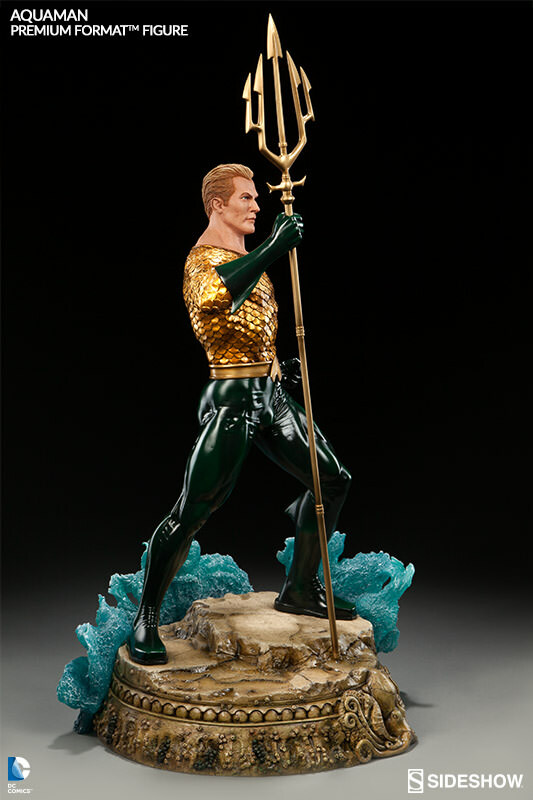 Striking a commanding pose in a regal gold and green incarnation of his iconic costume, the sworn protector of the planet swells with cool determination at the edge of the surf, as tumultuous waves break over the Atlantean themed base at his feet. 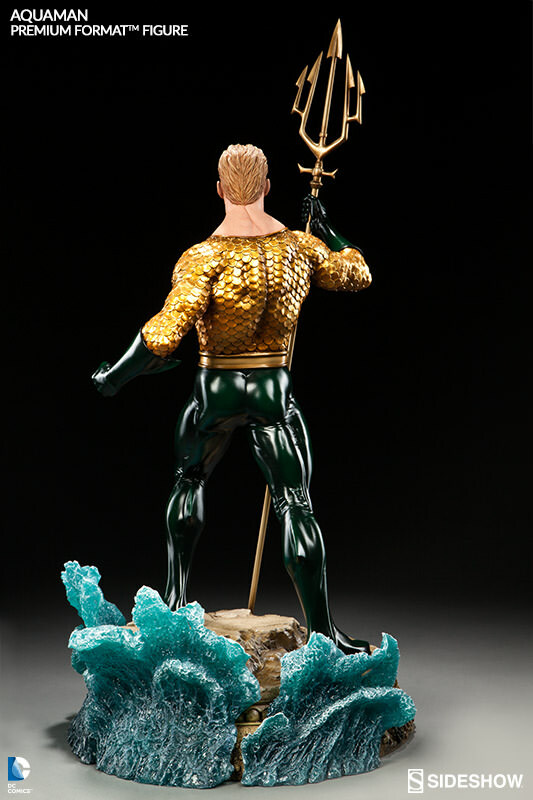 Celebrating a rich comic book history, the Sideshow Exclusive edition includes multiple display options (shown below), giving collectors the ability to choose between Aquaman’s classic look with short cropped wavy blonde hair, or his grizzled appearance with long hair, a shaggy beard and a prosthetic harpoon hand that doubles as a grappling hook. 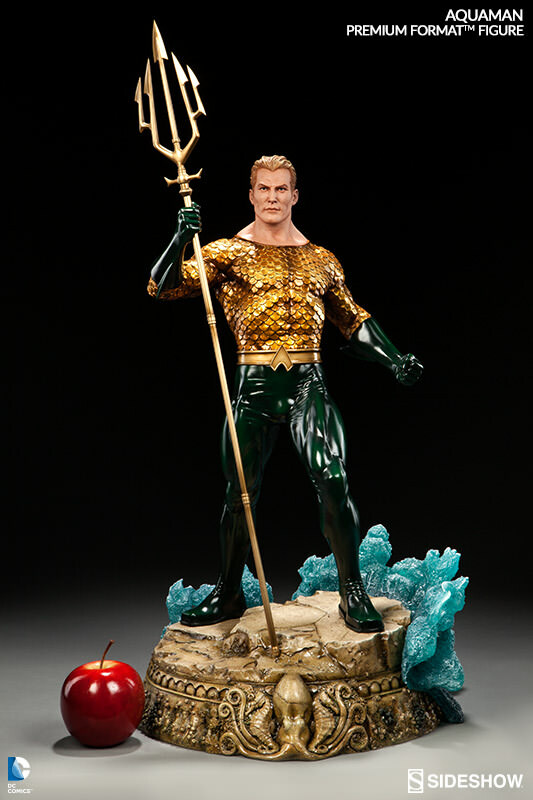 Perfectly capturing one of DC Comics’ most recognizable heroes, Sideshow’s Aquaman Premium Format™ Figure is a must-have for fans of the Justice League! 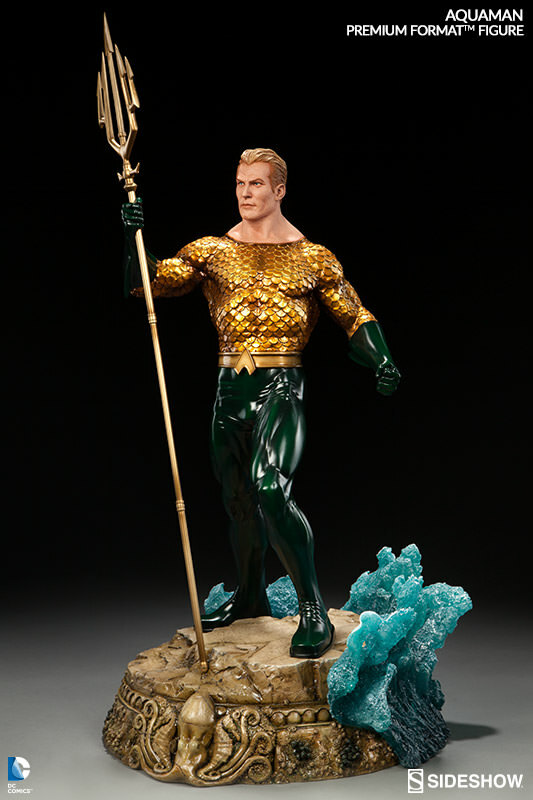 Both the regular and Exclusive edition of the Aquaman Premium Format™ Figure will be priced at $429.99 with optional payment plans available. 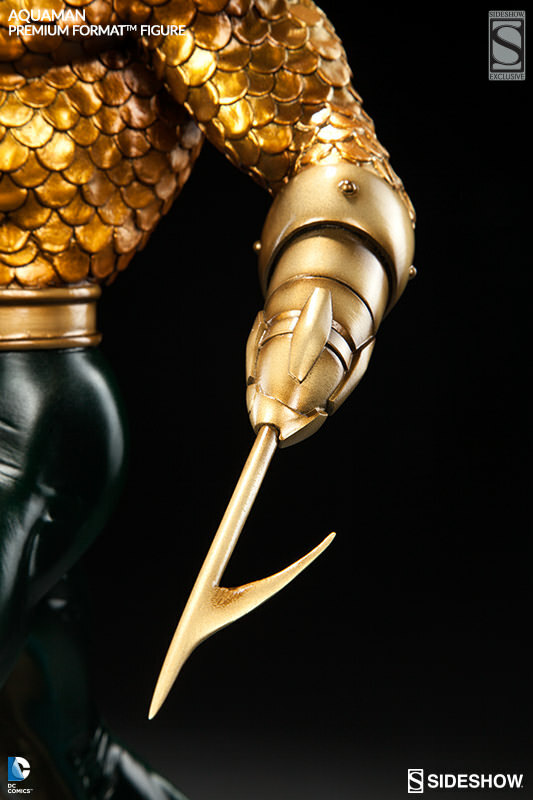 Pre-orders begin this Thursday, October 22nd. 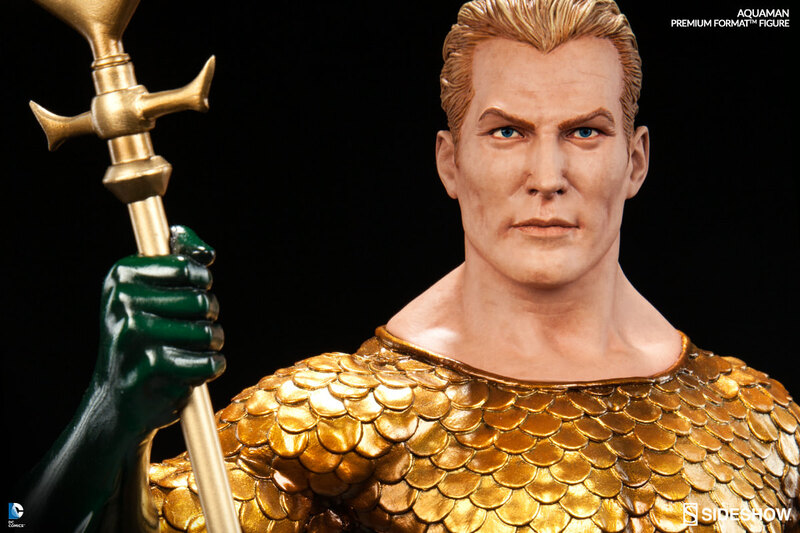 Hot Toys reveals Stan Lee Sixth Scale Figure Sneak Peek!